This stainless steel manicure and pedicure tool combines Tweezerman's famous Pushy cuticle pusher at one end with a convenient nail cleaner at the other end. Edges are buffed smooth to prevent scratching the nail. Its textured body provides a secure grip. How to use: Use the "Pushy" end to delicately push back the cuticles on each hand. 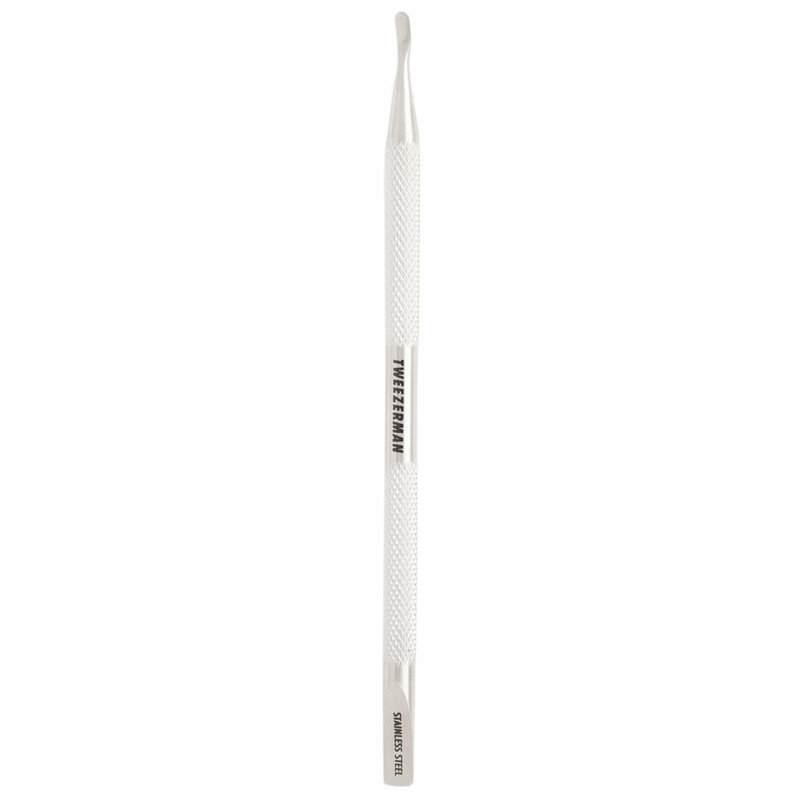 If there is excess dead cuticle build-up, trim extra-carefully with Tweezerman precision nippers. Wipe any excess oil off nails with polish remover. Follow up with our other precision manicure tools.